மருத்துவம் படித்தும் ஜம்மு காஷ்மீர் பூஞ்சின் முதல் கலெக்டர் ஆன ரெஹனா ஐஏஎஸ்! Home கட்டுரைகள் கல்வி மருத்துவம் படித்தும் ஜம்மு காஷ்மீர் பூஞ்சின் முதல் கலெக்டர் ஆன ரெஹனா ஐஏஎஸ்! 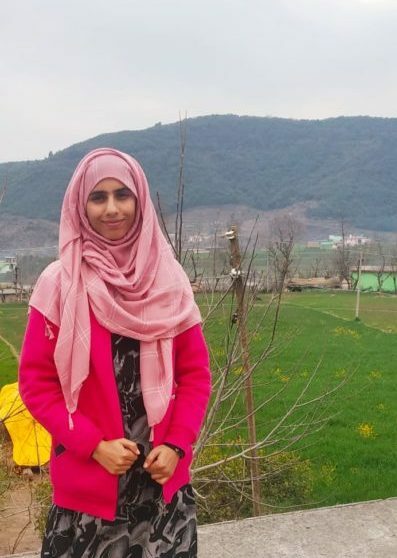 Dr Rehana Basheer, at AIR 187, is the first woman from the Poonch district as well as the Pir Panjal range in Jammu and Kashmir, to have cracked the coveted race for one of the top administerial positions in the country. This year, the final result was out on 5 April, 2019. 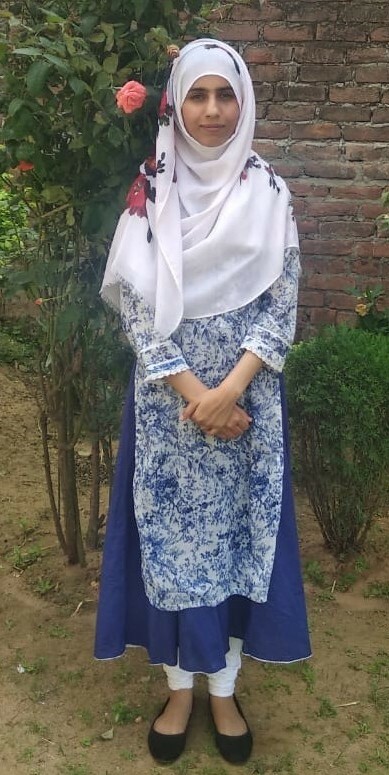 A native of Salva village in the Mendhar district, Dr Rehana had never thought that she would pursue civil services as a career option, let alone secure an excellent rank. 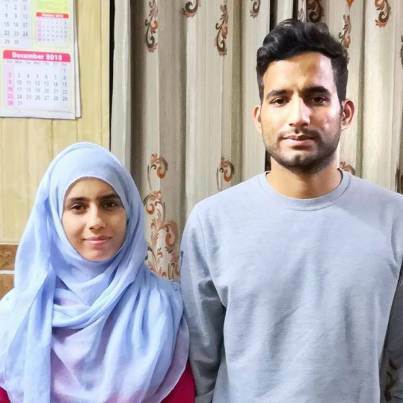 It was her internship, post the completion of her MBBS in Jammu, which opened her eyes to the harsh realities of life and motivated her to make this life-changing decision. But the road to this triumphant moment has not been easy for her. Speaking to The Better India, Dr Rehana shares her journey. “My father was a state forest corporation employee. One day, he unexpectedly fell ill, and while we were positive that he would recover, he passed away. Things had quite literally come to a standstill, but our mother stayed strong. I was in Class 9, while my brother, Amir, was in class 8 at the time. She single-handedly shouldered not just the household responsibilities but also our upbringing, and became our pillar of support,” she says. Rehana credits her mother for helping her children stand on their feet and become the successful individuals that they are today. “She has played a crucial role in every decision that I’ve made so far. When our father passed away, she only told us one thing: ‘I will go the extra mile to provide you with whatever you need. But, promise me that you will leave no stone unturned to excel in studies.’ And she always stayed true to her word,” shares a proud Rehana. As stated earlier, UPSC was never in the cards for Rehana, who went on to pursue MBBS after high school. She completed her degree, but the experiential learning during her internship, where she worked at the grassroots level, would change her life forever. “During my internship, I realised that perhaps being just a doctor wasn’t enough. There was a lot to be done if one wanted to help people. As a doctor, I could save a life at the hospital, but what about all those people, who had no accessibility to one?” she recalls. So, Rehana made up her mind to appear for the UPSC exams. After completing the internship in 2016, she began her preparations. Interestingly, Amir, her brother, had always been passionate about the civil services and had begun preparing for the same, right after he graduated from college. He successfully achieved his dream and is a serving IRS officer today. Rehana says that his preparation strategies, guidance and experience were of great help and made the journey a lot easier for her. Her decision to leave a successful medical career and practice to prepare for the exams was a difficult step, and while battling with confusion and doubt herself, she would also find discouragement in the form of people. However, she had faith in herself, and that coupled with the motivation she received from her mother and brother, kept her going. 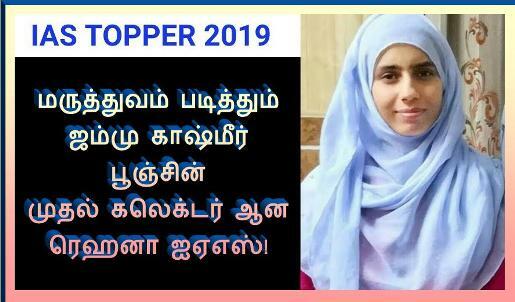 In 2017, Rehana gave her first attempt but did not clear the exams. Naturally, she was sad and disappointed, but the failure made her even more determined, and she decided to give a fresh attempt without seeking help from any crash courses or coaching classes. Alongside UPSC, she had also appeared for the KAS prelims as well as NEET-PG exams and cleared both. When the counselling date for NEET came, Rehana was in an awkward place—she had to choose between her Masters’ degree and the UPSC dream. Many were quick to suggest that she could prepare for the exams while she was studying, but Rehana knew this wouldn’t be possible. “It was indeed a difficult call, but then I wanted to give myself another chance. I didn’t even go for the counselling and became completely invested in my preparations. At that time, many people said that we were losing a good doctor. But there were also others who said that I was setting a precedent and that there are very few people who are capable of making the right decision at the right time,” Rehana said. 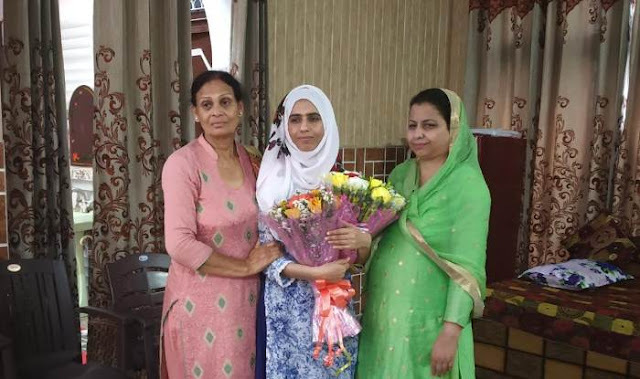 All her hard work would come to fruition a year later, when she would emerge with flying colours and bring laurels to not just her family, but the entire district of Poonch. On a closing note, the 27-year-old has a message for all future UPSC aspirants. “Success and failure are both part of our lives. You need to understand how to handle them both. If you have failed today, remember what had motivated you to chase your dream in the first place and all the efforts that went behind it. If you hold on to that dream, work hard and keep on persisting, no failure can derail you from achieving it,” she concludes.